Yay! So I loooveeee luxury items on sale! I hit up the outlets many times a year and head to Saks Off 5th. I am so happy to know that Saks Off 5th now has an online site so you can purchase items at discount while lounging around your house. 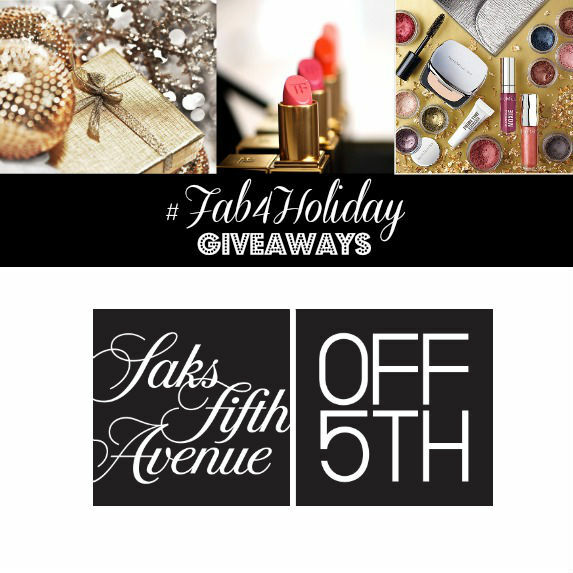 SaksOff5th.com This is especially amazing for me because my closest Saks Off 5th is about an hour away. So it’s definitely a trip! I put together a quick Winter fashion guide of some items I am spying! One, I love sequins!! And 2, I love leather clothing! I HAVE to get this leather sweatshirt!!! I guess I really like Black & Gold huh?!? You can pick out some of your favorite items too! You know why!?! We are giving away 3 gift cards to three lucky readers! First place is a $100 gift card, 2nd place $75 gift card and 3rd place $50 gift card. No matter which one you win, you can get a designer item for a fraction of the cost!! Fill out the widget below to enter. Each step is additional entries!